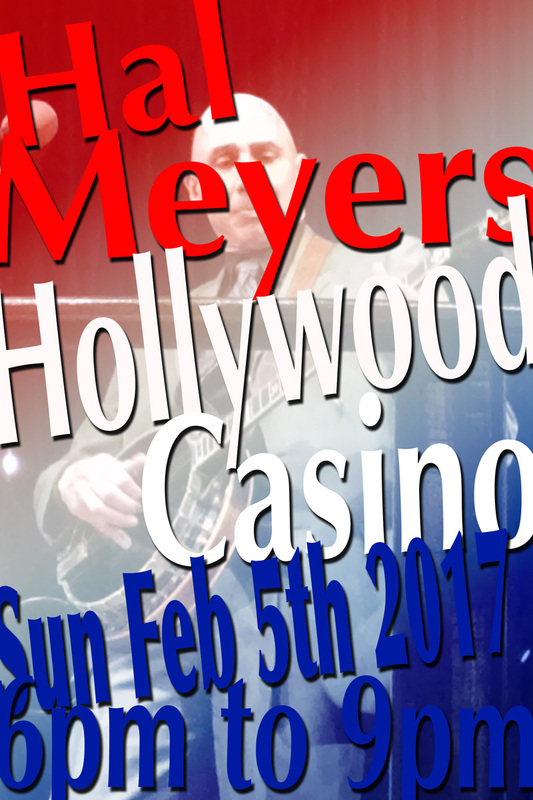 Hal Meyers - Hollywood Casino (Bangor, Maine) - Super Bowl Sunday! 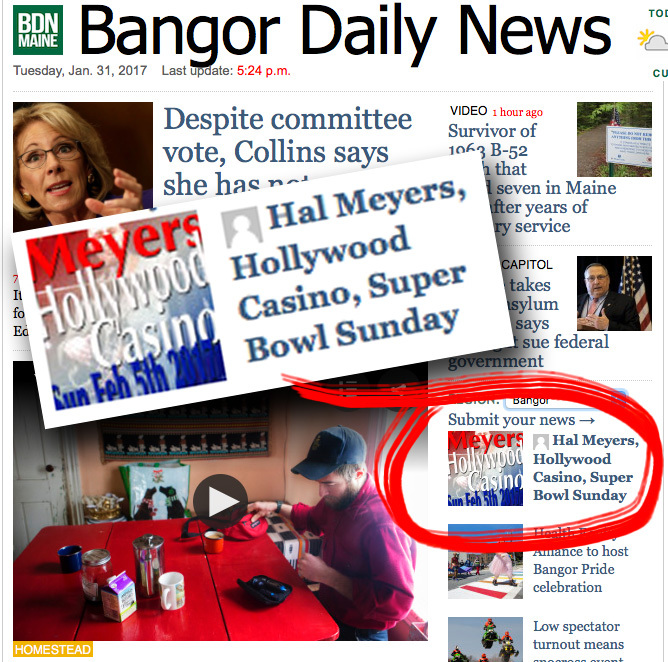 Quick Question – What do Tom Brady, the Hollywood Casino and Hal Meyers have in common? We are all working this Sunday February 5th … commonly known as SUPER BOWL SUNDAY! I'll be performing at the Hollywood Casino "Sound Stage Lounge" – from 6pm to 9pm. Playing banjo and guitar tunes, singing and a-laughing … whilst folks, sit at the bar having a terrific cocktail or two … and others hit the casino floor for a rousing good time. p.s.s. Bangor Daily News Events section and the Front Page of the BDN - oh yeah … see you all Sunday!!! !